There is no place more cozy, authentic and picturesque than the Pacific Northwest. As Los Angeles natives, we take a few deep breaths every time we step off the plane in Washington State. Rich culture meets rustic character, making it feel like home even though it's not. Our Washington State weddings are unforgettable celebrations. With the emphasis away from opulence and grandeur, guests instead focus on you and your beautiful spouse and your amazing families. We bring our heart and soul to each of our PNW events, adding warmth and energy throughout the evening. 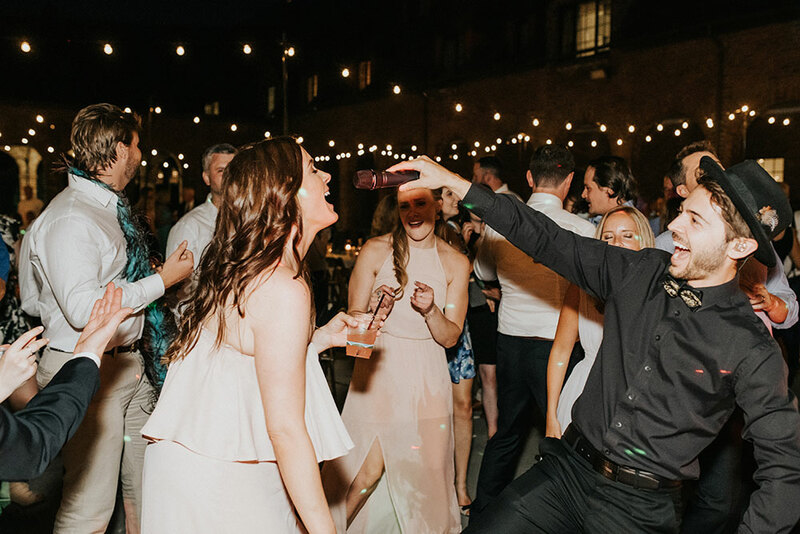 Starting with singer-songwriter favorites and classic standards, we lay a cool vibe before cranking up the heat into the best dance party you and your guests will rave about for years. You'll all have tired feet when you finally say goodnight. Our most unforgettable events and overjoyed clients are in Seattle, so we cannot emphasize enough: let us take care of you on your special day! We will exceed your expectations and help you create a memory that will last forever. I only wish I could give the band a higher score!! Ben was so accommodating and responsive from the first moment that I reached out. Seriously--like emailing back in less than 5 minutes. It was remarkable. We had Stefan's band for our wedding and it was the best choice we could have made. From the minute they started playing guests were raving about how good they were, and weeks after our wedding, they still haven't stopped! The band made the entire event. They set up in multiple locations for our ceremony, cocktail hour and reception. At one point during the cocktail hour my Dad said, "the recording sounds really good" not realizing that it was the band playing and I had to tell him that no, it wasn't a recording, the band was just that good! Stefan had a great energy, and my maid of honor and I had a blast dancing on stage towards the end of the party. We loved dancing the night away and I only wished our venue could have let us stay for longer so we could keep the party going. Trust the reviews and simply book this band. Don't look back, you won't regret it. 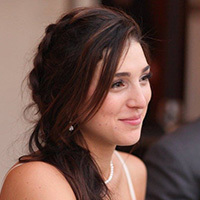 There are so many key decisions to be made when planning an event. If we had to do it all over again there is only ONE thing we would do differently. We would save all the hours we spent searching for our band and we would simply contact Ben Mallare and ask: What dates do you have open? Great, we’ll plan around you!! This was absolutely the most fun we have ever had dancing to live music and it was our own wedding reception! Our guests are still talking about the band and asking how to find them for their own events! Even the venue personnel were taking note as they said they had not seen a reception band as great as this, ever! We requested Andy Inglat as our lead vocalist and we cannot stop raving about him! He lead the most amazing band all evening including lead guitar/vocals, bass, female vocals, drums, keys, horn that we had chosen. His voice diversely covered such a wide range of songs and sounds perfectly. First they played background during our cocktail hour, then outstanding music during our dinner service and ultimately the high energy dance hours. Andy knew exactly how to read the crowd and the situations for perfect song selection. He was super appealing on stage and together with the other musicians who were all incredibly talented, they brought so much energy to their performance that it was contagious! Our recommendation - don’t waste your valuable time agonizing over other band options or hesitate until someone else books your event date with Ben and you miss out. Just do it. BOOK THIS BAND NOW!! This will be the best and easiest decision you'll make. We just had Ben and his band play at our wedding in Seattle, WA and can not say enough good things about them! They played at our ceremony, throughout cocktail hour and our dance party without missing a beat. They are one slick professional outfit of top musicians and in Ben, you have an A-lister as lead singer. If you want a fantastic band that will make the party, keep the party going all night, and do so with the utmost professionalism do not hesitate in booking these guys! You won't regret it!